BlackBerry PlayBook To Sell For Under $500: iPad Beware! Android tablets, BlackBerry's PlayBook and Samsung's Galaxy Tab? Forget them! Apple CEO Steve Jobs had an unusual lashing at the company's competitors in the smartphone and tablet markets during Apple's post-earning conference calls with analysts. Jobs explained why, in his view, "7-inch tablets are tweeners," why Google's Android OS is unfit for current tablets, and why the iPad is still the king of the hill. Apple said it has sold more than 4.2 million iPads (a figure under some analysts' predictions). Since January, when Jobs previewed the iPad, and later in April, when it went on sale, competitors have been scraping to put together their response to Apple tablet. Among others, there are some serious competitors. 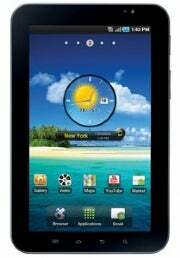 Samsung came up with the Galaxy Tab, which is yet to go on sale, and Research In Motion came up with the BlackBerry Playbook, which won't arrive until sometime next year, giving the iPad a huge head start. 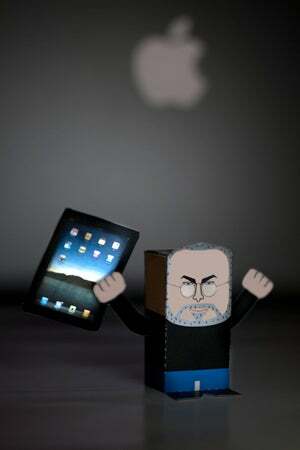 Jobs debated why the 7-inch screen size on tablets is not the ideal one. He was presumably referring to the Galaxy Tab and the PlayBook, both with 7-inch displays (and iPad-like designs). He argues the 7-inch screen size is only 45 percent as large as the iPad's 10-inch display, which is not sufficient to create great tablet apps, even if the resolution is increased. Google said it, LG said it, and now Jobs said it: the current version is not ready to tablets. Google explained Android Froyo 2.2 is not optimized for larger tablet screens, and manufacturers will have to wait for a special tablet release next year, something that Jobs was quick to reiterate. Samsung, with its Galaxy Tab, is the exception to this, because it designed the tablet basically as a smartphone with a 7-inch screen, in order to be able to run some apps from the Android Market. For the Galaxy Tab, Samsung developed some new applications, because there are no apps in the 90,000 apps-strong Android Market that take advantage of the 7-inch screen. Jobs meanwhile, flaunted the fact that there are 35,000 iPad apps in the App Store. Since Android tablets have yet to make their debut, it's not surprising there are no apps to go with them, as was the case with the iPad at the beginning. However, Apple has a larger developer base, and in just a few months managed to accrue the 35,000 apps. Android has yet to catch up with Apple in the smartphone apps land (90,000 versus 300,000), so it would be safe to assume a similar picture will be painted in the tablet market. Are you tired of waiting to find out how much the Samsung Galaxy Tab will cost? What about the BlackBerry PlayBook's price? So is everybody else, and Jobs seems to know why: "Our potential competitors are having a tough time coming close to iPad's pricing, even with their far smaller, far less-expensive screens." What's you take? Do you agree with Steve Jobs' points about competitors to the iPad, or is he trying to expand his reality-distortion field ? Sound off in the comments.